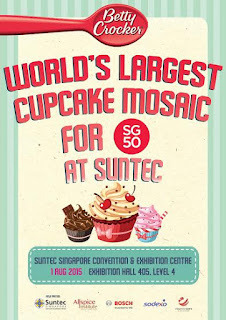 Hosted by Victoria Cheng, witness the unveiling of the Guinness World Record breaking of the World's Largest Cupcake Mosaic (30,000 cupcakes) on Saturday 1 Aug, at 4pm at Suntec Singapore Convention & Exhibition Centre, Concourse. In honor of the event, Betty Crocker is offering THREE exclusive Betty Crocker gift sets for Gastronommy readers. This Saturday, 1 August 2015, come join me as I host a very special event at Suntec! Betty Crocker holds a special place in my childhood heart. 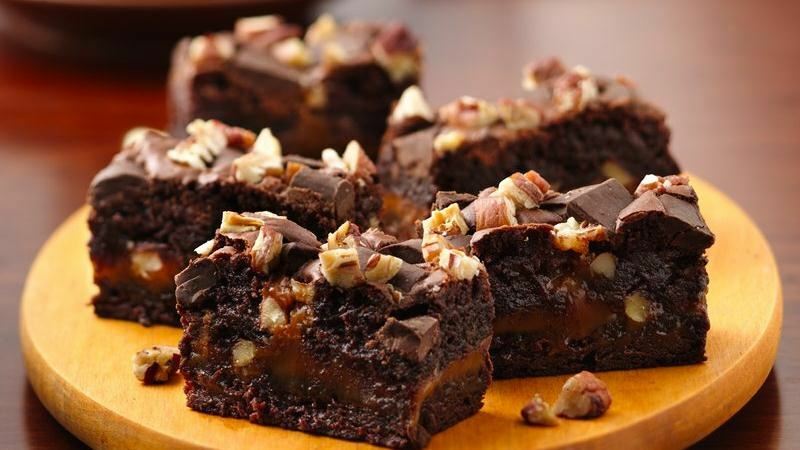 Coincidentally, even referenced the brand here on my story, "A little about me, how this all came to be..." One of the first things my toddler-self baked was the Betty Crocker brownies. It was really easy for my parents to introduce to me since it only required three items: water, eggs, vegetable oil. The best part was (and still is) licking the remaining chocolate batter off the spatula. The older foodie me will always acknowledge that building a cupcake from scratch is another level, but I appreciate the brand for the nostalgia factor, and also how it revolutionized baking at home in the 1940s (more information below on that story). As part of the nation's 50th birthday, we will be attempting to set a Guinness World Record for "Largest Cupcake Mosaic" and this initiative will see people from all walks of life - regardless of whether they have baking experience - in a collaborative effort to give back to the community as the finished product will be distributed to partner beneficiaries and charities. To help spread the message, Betty Crocker is offering THREE exclusive Betty Crocker gift sets for Gastronommy readers. Why use 10 ingredients to bake a cake when you only need 3 using Betty Crocker cake mix? TO WIN Write in the comments below, Facebook (here), or Instagram (here): Name the only 3 ingredients needed to bake your own premium cake/ cupcake using Betty Crocker cake mix? Drop by the event with your children and experience how easy it is to make a delicious cupcake with Betty Crocker cake mix! Hosted by Victoria Cheng, witness the unveiling of the record on Saturday 1 Aug, at 4pm at Suntec Singapore Convention & Exhibition Centre, Concourse. As part of Singapore's SG50 celebrations, Betty Crocker set out to break the Guinness World Record for Largest Cupcake Mosaic. The current record is for 21,164 cupcakes / 125 sq meters in El Salvador! 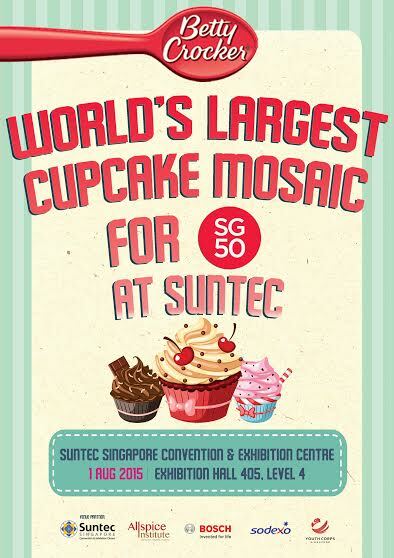 We aim to make 30,000 cupcakes in 8 hours at Suntec Convention Centre, of which the mosaic will be unveiled at the Atrium at 3pm. This is our way to present a gift that is made by Singaporeans - young, old, all religions and races - for Singaporeans to commemorate the country's 50th birthday by giving back to the community. Cupcakes from this record-breaking structure will be donated to charities in Singapore, including Food From the Heart. Who is this Betty Crocker? Known as the First Lady of Food, 'she' was the second most recognized female name after the United States' First Lady Eleanor Roosevelt when the brand icon was first created. 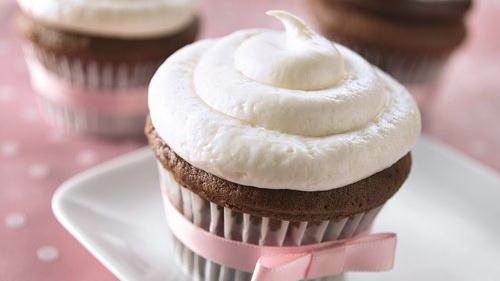 Betty Crocker is the leader in the baking category who revolutionized the process. Originally, the brand created an add-water only mix, but they realized that housewives still wanted more of a hand in the process. Thus, the three-step recipe was created. 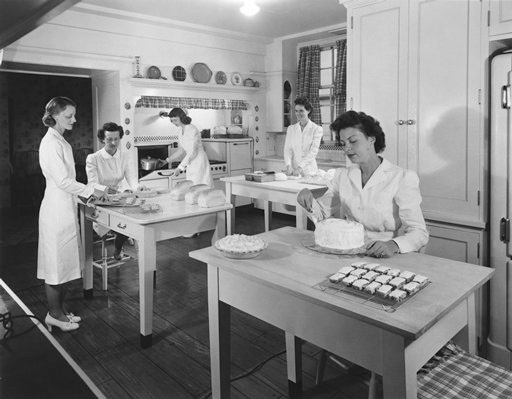 Betty Crocker has singlehandedly changed baking in households since 1940s America, because of their easy signature 3-step process and delicious recipes for cakes and other desserts. 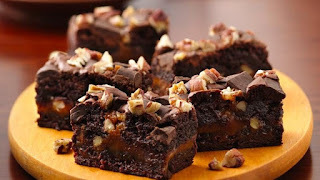 Images from BettyCrocker.com, see Recipes by Betty Crocker.